Death and brain damage have been caused by toy chests and other lids falling on children’s heads or necks. Most of the victims were under 2 years of age, although children as old as 10 have also been injured. In 1996, Twelve million cedar chests by Lane Furniture Company had been recalled. Still, in 2014 a brother and sister were fatally entrapped by the 75-year old chest. According to the CPSC, at least 34 deaths to children under 18 have been reported between 1996 and 2014, all involving toy chests. Since 2005, more than 21,500 toy chests have been recalled due to hazards including strangulation, entrapment, injury, and lead poisoning. 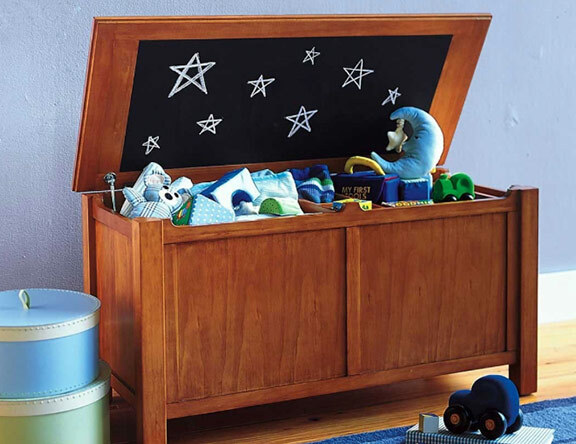 Make sure your toy chest or trunk stays open without having to hold it and doesn’t latch automatically when closed. A better solution is a chest with a lightweight lid that rests on the unit without being attached or an open bin. If your toy chest doesn’t stay open or latches automatically, stop using it and report it to CPSC. It is now mandatory under the Consumer Product Safety Improvement Act of 2008 that toy chests meet these standards.